With Zynga‘s IPO scheduled for this week–there is increased attention focused right now on free-play poker. With that in mind, Wicked Chops Insider will be regularly covering free-play poker as well. Here’s our first look at the top free-play Facebook poker sites. Note that after Zynga Poker and Pokerist, the next 10 sites are tightly bunched and vary almost daily. Sites are measured by Daily Average Users (DAUs) and Monthly Average Users (MAUs). 1. 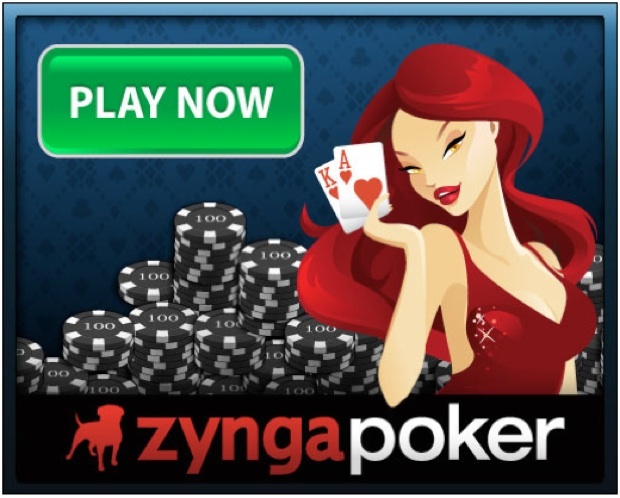 Zynga Poker – 6.3M DAU. Zynga Poker crushes all. While Zynga first launched with a free-play poker game, the success of other properties such as Farmville and Cityville helps keep its overall numbers high and viable. Their DUA flactuates on the low-end of around 6M to the high-end of 8M. Huge attrition, but huge revenues too (tallying around the $85M mark). Get full stats here. 2. PokeristClub – 90,000 DAU. The disparity between the #1 and #2 Facebook poker games is enormous. PokeristClub does a respectable 90,000-100,000 DAU’s, but that’s around 6.2M less than Zynga currently. We like their slogan though (“The best online poker club ever”) and like their attitude. Heck, they even posted about the poker blogger convention in Vegas last week. Get full stats here. 3. Grand Poker – 60,000 DAU. Very big on virtual goods (as they all are/should be) but looks like something that would mostly appeal to kids. Get full stats here. 4. Perfect Poker – 60,000 DAU. Has a pretty decent model compared to other comparables. They have their own version of a “poker school” and communicate fairly actively with their users on Facebook (view here). To that point, they have about 125,000 more “likes” than Grand Poker or WSOP Poker, showing the customers are supporting them. Get full stats here. 5. WSOP Poker – 50,000 DAU. The biggest brand in poker typically clocks in the 3-8 range for top free-play Facebook games. They see big spikes during prime WSOP/ESPN air dates and hang around the 50k DAU level at other times. The biggest take-away from that: most social media poker players have no idea what the WSOP is or follow the game much, if at all. Get full stats here. On that note, the major other “poker as we know it” free-play Facebook games do far less in overall average users. Epic Poker clocks in around 7,000 DAU. The app is nothing Earth-shattering from a game-play perspective, and the background music seems like something your grandma would like instead of the typical 18-34 year-old poker target demo. Chiliplay Poker looks and feels much like a real-money poker site, but averages around 300 DAU’s. Again, both of these apps further reinforce the differences between the potential real-money poker players and the free-play group. We’ll continue to update and expand this list in future posts on Insider.